I have a distinct memory of carrying my niece as a baby in my arms, with her staring intently at my lips while I was talking to her. She learned to speak the earliest among my six nieces and nephews. Likewise, when your preschooler hears you read to him, it makes learning how to read on his own a lot easier. 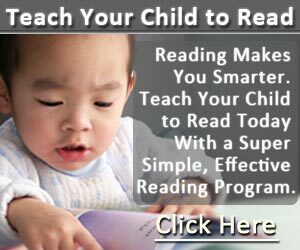 But there are many methods that you can use to help your child read. When you’re trying to teach your preschooler how to read, you’re going to want to make sure that you choose a way that’s fun as well as educational for him. While many kids respond to manual ways of learning phonics – such as through books, workbooks and flashcards – a lot of preschoolers learn just as easily when you use electronic means. 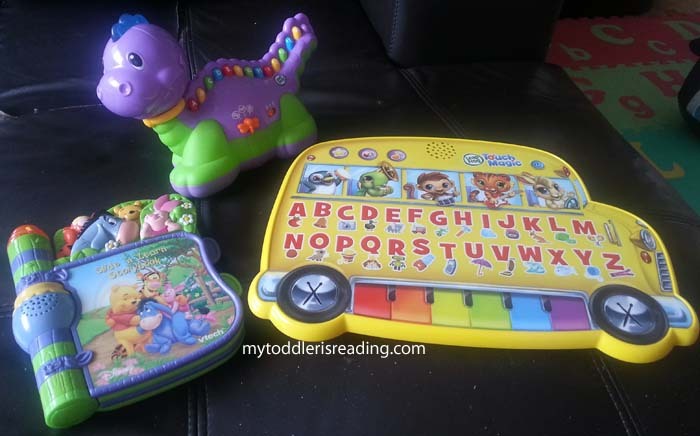 While this in no way replaces a book, there are some great electronic toys that can make learning to read simple and fun for your preschooler. Some electronic toys are highly suitable for teaching phonics. When a word is sounded out electronically, kids learn their letters and how to sound them out, which gives them that sound/letter connection that’s the basis of phonics. 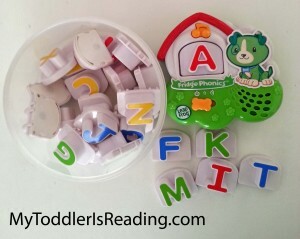 When Kaden was a toddler, he was gifted with a few electronic phonics toys from my relatives and a friend. There’s the LeapFrog Fridge Phonics, the LeapFrog Lettersaurus (aka the purple dinosaur), and the Leapfrog Touch Magic Learning Bus. Incidentally, different people bought from the LeapFrog range for him. You can find toys that help your child grasp phonics through the means of electronically reading each letter. This works when your child puts a letter block into the toy. The toy then reads the letter on the block out loud. Just like what you see from the Fridge Phonics Toy in the above picture. There are other electronic phonics toys will sing the letters of the alphabet and this helps your child to learn her ABCs. But it also teaches your child how to associate sounds with letters. Remember the purple dinosaur featured in the first photo? It sings the ABC song for Kaden whenever he presses the big button atop its head. 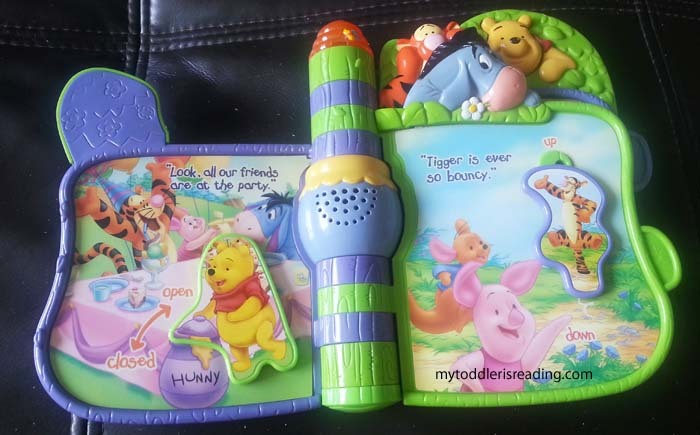 Some other electronic toys that you can get to help teach phonics to your preschooler are toys that are designed like books. They even allows your child to turn a page. These toys will read stories to your child that are designed to help him master phonics. But they’ll also teach him songs that help him learn phonics. 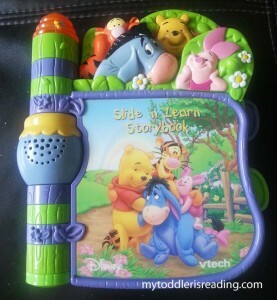 For example, the Vtech Slide ‘N Learn Storybook featuring the Winnie the Pooh and his friends shown here was passed down from Kaden’s cousin. It reads the eight pages, sings and lights up for him. Many of the electronic toys that are suitable for preschoolers focus on the simple side of phonics. For example, they’ll use only three letter words such as cat, dog, mop and more. These short, three letter words are a great building blocks for your child to be able to learn longer words through phonics. An example would be LeapFrog Fridge Words Magnetic Word Builder. Did you buy any electronic phonics toy for your kid? What’s your feedback on using such toys to teach your child phonics?